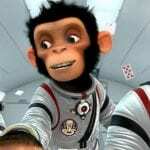 In the summer of 2008, Vanguard Animation released Space Chimps, a film with a simple premise: monkeys in space. So, buckle up for an intergalactic trip to the stars with plenty of puns, weird looking aliens, and characters who can’t stop monkeying around (yes, I had to). Ham III is a lazy, wisecracking chimp, who enjoys his carefree life as a circus performer but resents his famous grandfather’s legacy constantly overshadowing him. Years ago, his grandfather became the first chimpanzee in space. Ham III could care less; he’s perfectly fine being shot out of a cannon—it’s almost the real thing, right? One night, though, NASA comes knocking on Ham’s trailer door. Turns out NASA lost contact with an unmanned space probe which went missing on an Earth-like planet. To avoid losing government funding, NASA plans to send three chimps after the probe to retrieve it, and one of those lucky chimps is Ham III. 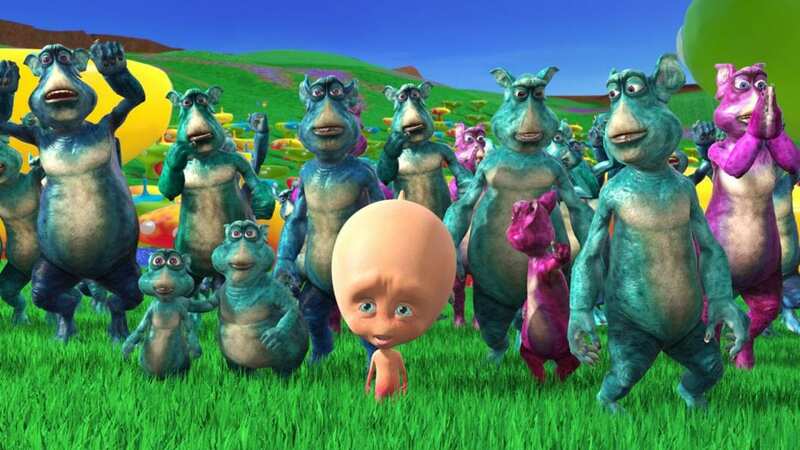 Space Chimps is an okay film for kids, but it’s very frustrating for an adult to watch. The one thing that struck me after watching was how lazy the whole film played out. The screenwriters didn’t seem like they were trying to make a good story despite the cheap animation. The mysterious planet where the chimps land was poorly developed and completely nonsensical in my opinion. There’s jumping gummy beans, a flesh-devouring cave, and so many psychedelic colored plants and creatures inhabiting this place that it almost rivals Willy Wonka’s factory colors. And then the villain’s name is Zartog, and he’s really a nasty bully than a menacing bad guy. I did like the film’s message and lead characters. It’s difficult to live in the shadow of someone else, especially when that someone is family. Ham III has to learn to accept his grandfather’s legacy and figure out his place in the picture. The two main characters—Ham III and Luna—reminded me a lot of Peter Quill and Gamora from Guardians of the Galaxy. Ham III and Peter are charismatic, flirtatious, and rather immature. Luna and Gamora are the exact opposite: serious, no nonsense, and focused on the mission. The dynamic between the two made it a little easier to watch the movie. Coincidentally (or not), Pixar’s critically acclaimed Wall-E came out a month earlier before Space Chimp was released. While Pixar wowed everyone with a creative story, fantastic animation, and wonderful music, Space Chimps was pretty much the exact opposite and probably seemed like a cheap knock-off, trying to ride the coattails of another movie’s success. Whether that’s true or not, I can’t help but wish the filmmakers had at least tried to make an adequate story. It would have been nearly impossible to stand out from Pixar’s shadow so soon after Wall-E’s release, but the audiences would have known that the people behind Space Chimps at least tried to make a good movie. Have you seen Space Chimps? Was it out of this world or not? Let us know down below!